This photograph shows the farm house of Allen Lester Korns, Southampton Township, Somerset County, PA. Can anyone date this photo? Note the boarded over upper story windows. The original photo was printed backwards; this fault has been corrected in the image above (although you may need to hit your browser refresh button to see the updated image). 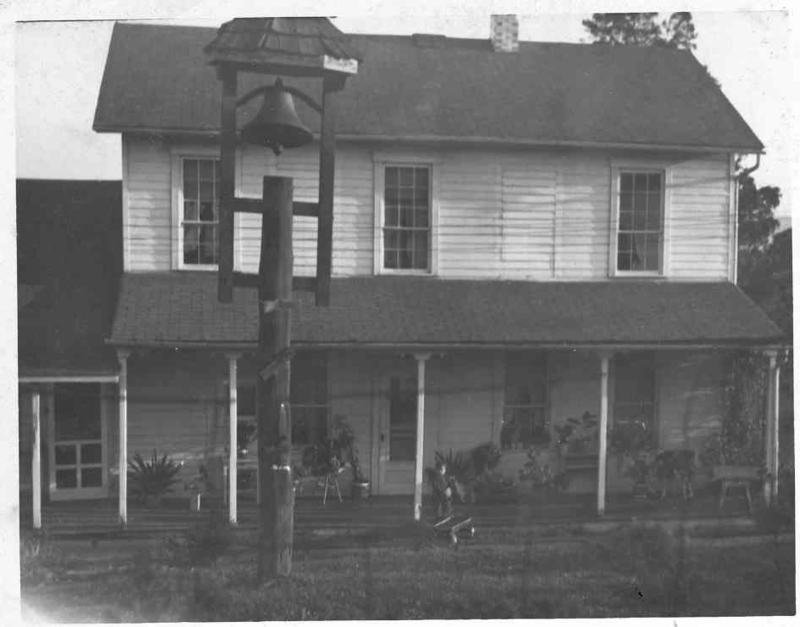 This photo contains the best image of the farm bell that I am aware of. The white chimney appears in this photo, but is not present in early photos. Note that to the left of the white chimney, it appears that another chimney has been torn down and patched over. This house was originally built on the traditional central hallway plan. In 2009 Melvin told me that it was was altered some time before he was married. The central stairs remained, but as I understand it, certain areas were filled in to create more usable space.